The Greatest Thing You’ll Ever Learn…. …Is just to love, and be loved in return. I absolutely adore “Moulin Rouge”. I remember when I first watched it with my cousin it was the bright sparkling costumes and the can can the actually captured my attention (I’m not a big film watcher, I find it really hard to concentrate) and then when Satine came down and sung “Sparkling Diamonds I was hooked. Even now all these years later I still have the soundtrack on my ipod. 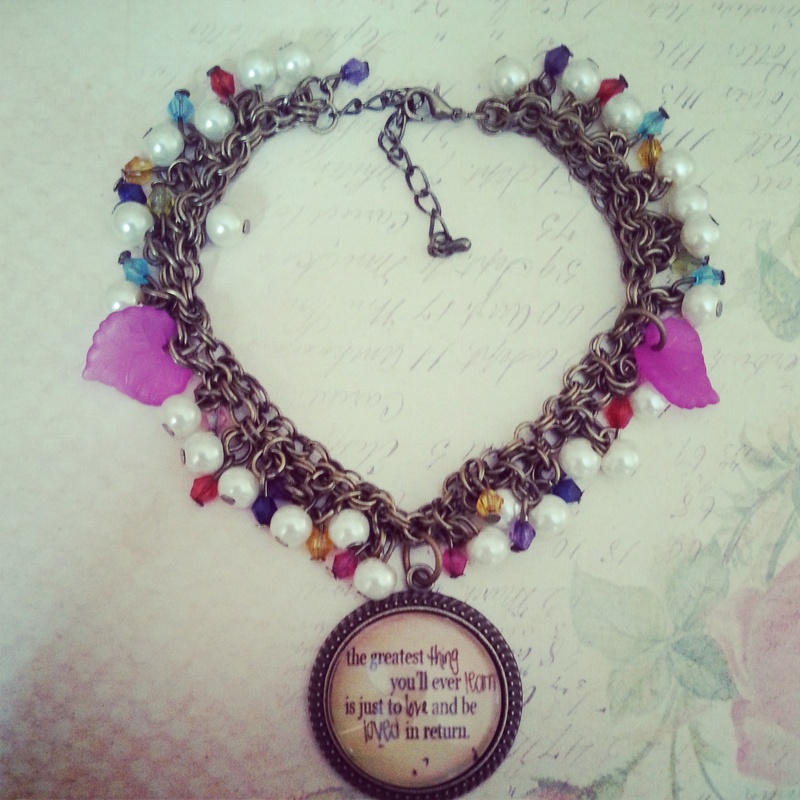 Another reason I love Moulin Rouge is the following quote, I’m not a romantic person at all but this is just lovely, which is why one day when I was messing around with my jewellery bits I decided to make this pretty piece. It took quite a long time as all the beads had to be put on headpins then attached to the bracelet but it’s so pretty it was worth it! How pretty are all these colours? 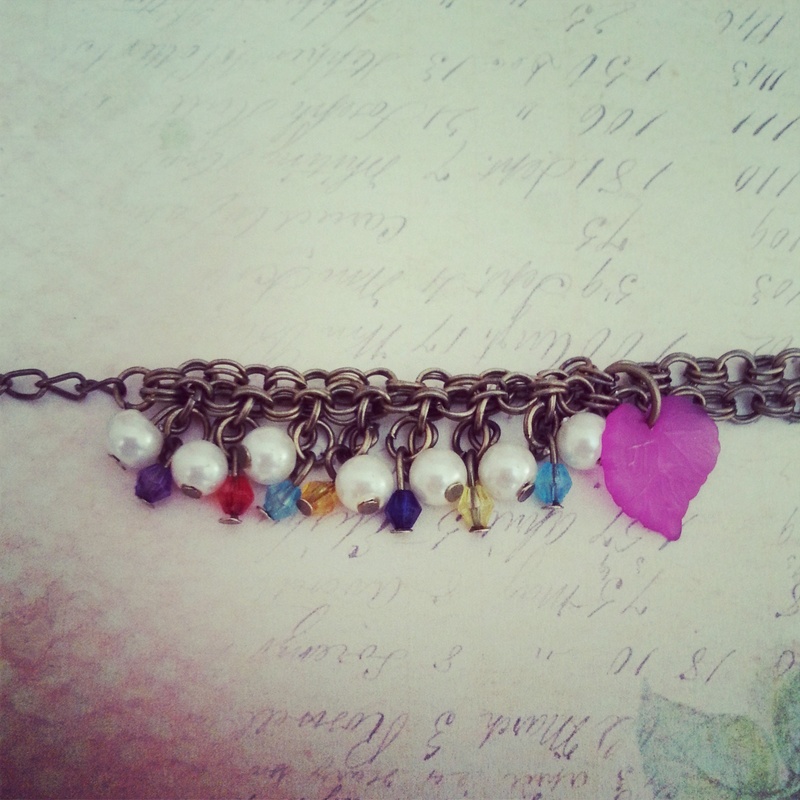 This bracelet is still up for sale on folksy at £8.00 and is a one off piece. To buy just follow the link! So what do you guys think? What other quotes would you like the see in my jewellery? Let me know! Hi! I really like your post. I’m Cameron and I’m very interested in fashion and style. I think you would enjoy my posts; I would really appreciate a follow back! Thanks!